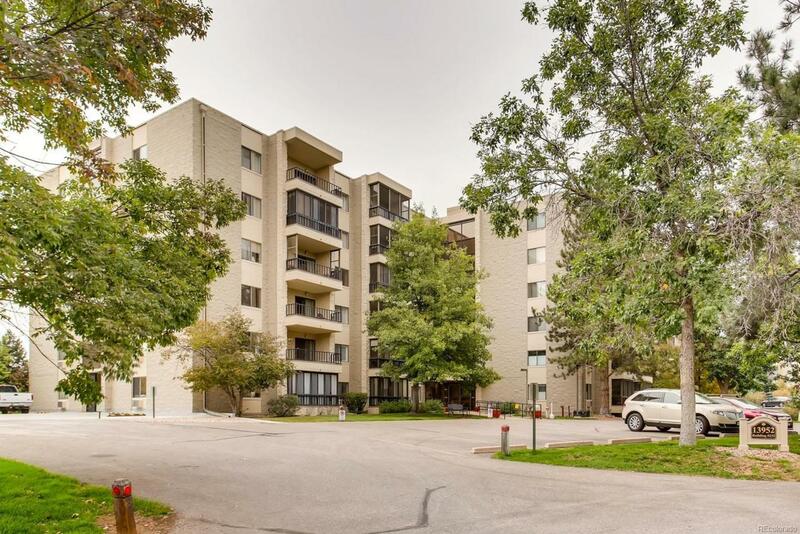 If you've see it before come back and see the changes to this spacious unit in the popular Heather Gardens retirement community. Enjoy the natural light from the west. The home has been well cared for with newer carpet and paint and a fully inclosed patio with oversized windows and pleasant views. The kitchen cabinets and backsplash are tasteful and in good shape. Put your twist on the unit with updated kitchen floors and a few other minor touches and this unit will be like new! The community is in close proximity to I-225, RTD's Nine-Mile light rain station, and Cherry Creek State Park. Offering a multimillion dollar clubhouse and restaurant, additional community pool, hot tub, tennis court, pond area and numerous social activities and events. Enjoy a formal dining area, large laundry room w/washer and dryer and plenty of cabinets space, master bathroom with beautiful shower tile and flooring, large walk in closet, plantation shutters and private storage locker. Offered by Madison & Company Properties. The content relating to real estate for sale in this Web site comes in part from the Internet Data eXchange (IDX) program of METROLIST, INC., DBA RECOLORADO®. Real estate listings held by brokers other than 5281 Exclusive Homes Realty are marked with the IDX Logo. This information is being provided for the consumers’ personal, non-commercial use and may not be used for any other purpose. All information subject to change and should be independently verified. 5281 Exclusive Homes Realty is Denver Metro Area's most innovative real estate team.